Sometimes finding the answers to anesthesia questions can be tough. But what if you had a whole group of friends you could count on, who understood the everyday challenges you face in practice and were eager to discuss them with you and help you find the answers you need. The Veterinary Support Personnel Network (VSPN) has always provided that trusted circle of friends to me. In this post I want to introduce you to VSPN, help you navigate the site, and get you started as a member of this free veterinary resource. Maybe you’ve heard of VIN, the Veterinary Information Network. VIN has pioneered providing instant access to vast amounts of up-to-date veterinary information, turning subscribing practitioners who might have felt like competitors into a community of over 53,000 professional colleagues. VSPN is an extension of VIN, providing the same up-to-date veterinary information, tailored to the needs of veterinary support personnel. One significant difference between VIN and VSPN is cost. Unlike VIN, which is a fee-based subscription service, VSPN is a free community. The Veterinary Support Personnel Network brings together people from all over the world to interact with each other, teach each other, and learn from each other. As a VSPN member, you have access to thousands of colleagues who want to help you and your patients – 24 hours a day! When you click on this link, you’ll go directly to the VSPN.org home page. One of my very few criticisms of VSPN is that the website layout looks a little dated and feels a little text-heavy. To me, it still has the feel of a message board and navigation of the site is not as intuitive as I like. New visitors may need a moment to get oriented. But I guarantee that it’s worth the effort. One of the first things to do here is to apply for membership. Your membership application may take a couple of days to process, but in my experience the folks at VSPN are very responsive. You’ll have to wait until your application is approved before you can explore the content of the site, so let me give you a sneak preview of what’s in store. I find one of the most useful resources is the VSPN Message Boards. These are your gateway to discussions on current topics, management methods, drug protocols, and so much more. Discussions with your peers allow you to exchange ideas, get help with specific patient management problems or cope with stress of practice. The Message Board folders cover medical and practice management topics, industry information, and so on. The Message Boards are searchable and customizable, allowing you to get the information you want in the way you want it. Just click on ‘Message Boards’ in the top navigation bar and then open the drop-down menu labeled VSPN to choose your topics of interest. Of course, I’m partial to the Anesthesia folder where you’ll find lively and informative discussions about all aspects of the management of anesthesia, from anesthesia nerds around the world. All VSPN members can initiate and participate in Message Board discussions. This interaction is what makes the VSPN community so useful to all of us as veterinary professionals. One of the real treasures of this community is the VSPN Notebook®, an online handbook of easily-accessible information for hospital staff to use in practice every day. As an online version, it is regularly updated and amended to contain the most current information in the profession. We can all suggest additions to this online book to help make it fit our needs. You can order a hardcopy of the book from the VIN Bookstore to have as a ready reference in your practice. I bought a copy for my team years ago, before it was offered online. We always found it useful. Nothing makes anesthesia easier than having good up-to-date information at your fingertips. That’s why I wanted to introduce you to one of the most useful web communities I have found. The VSPN worldwide community is made up of people just like us, who all pool our knowledge and experience to get help and to give help. And our patients are better served by every question asked and answered. 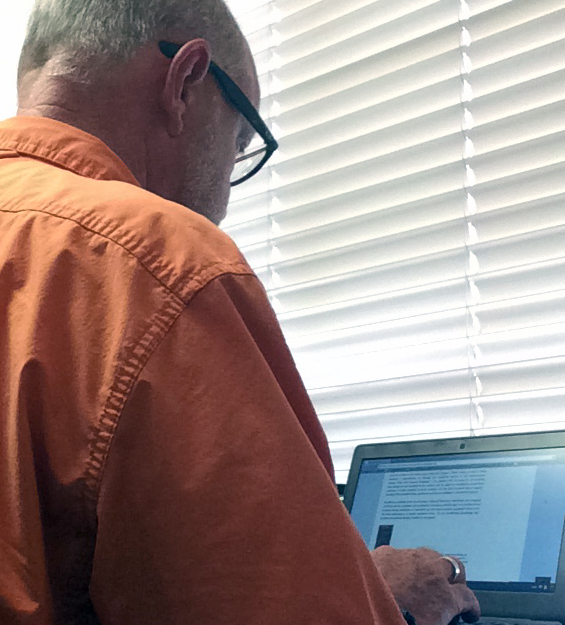 Benefits for VSPN members include access to the online version of the VSPN Notebook®, community message boards, rounds sessions and an extensive library of past rounds transcripts and handouts. You’ll also find over 50 continuing education courses per year taught by leaders in the field of veterinary technology. And sometimes you might just want to connect with people who understand the crazy world you work in. Give VSPN a visit. 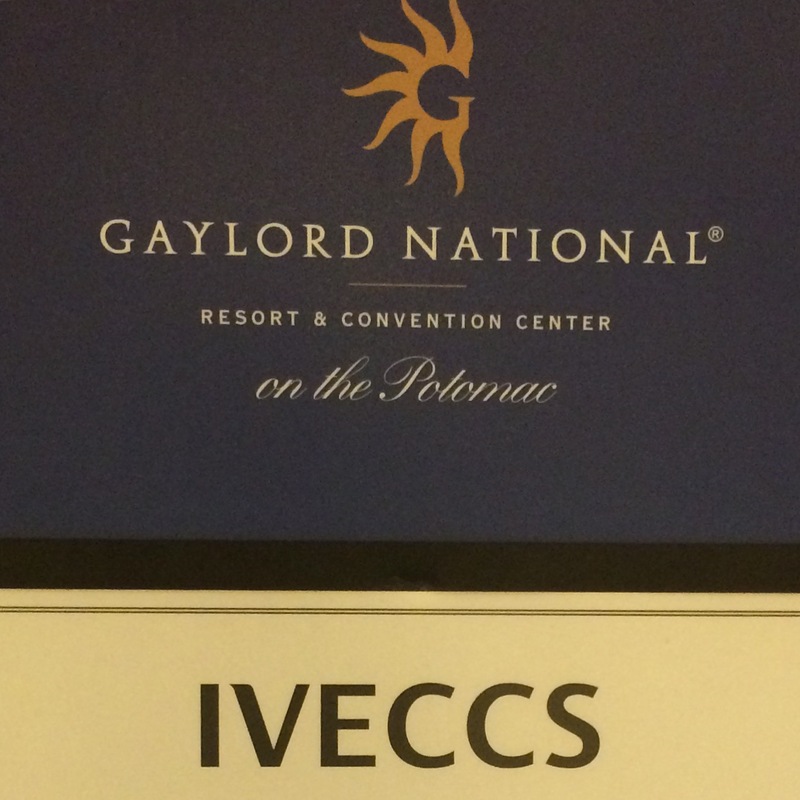 We’re really excited to be exhibiting at the IVECCS / ACVAA conference being held at the Gaylord National Resort and Convention Center in Washington, DC. It’ll be a great time to reconnect with old friends and show off what innovations Advanced Anesthesia Specialists brings to veterinary practice this year. Spoiler Alert – we’re introducing a heated bain circuit this year. Heated! Yeah. We’re excited about it too! If you’re at the conference, stop by our booth #326 and say “hi”. dealflow is a quarterly magazine published by the Australian Government Department of Industry and Science. It showcases high-performing, small and medium sized Australian companies supported by the Accelerating Commercialisation element of the Government’s Entrepreneurs’ Programme. The global efforts of Dr Colin Dunlop to improve anesthesia outcomes for small animals are applauded in the current issue of dealflow. The article is reproduced below. Better anesthesia for small animals. 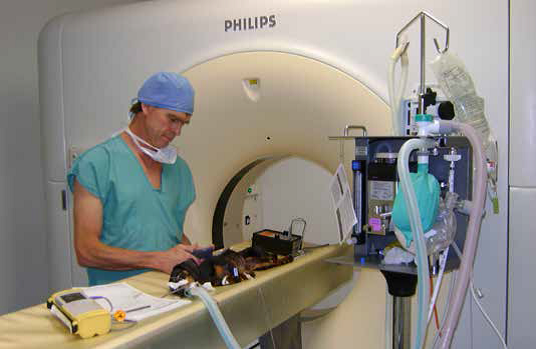 Few companies can claim to help household pets while reducing greenhouse gases, but that’s what Advanced Anesthesia Specialists and its managing director Dr Colin Dunlop are doing. The company is becoming a global leader in the design, manufacture and service of innovative veterinary anesthesia equipment, and continues to break new frontiers. Dunlop says the mortality risk of anesthesia for animals under 20 kilograms, such as dogs and cats, is about 500 times higher than for humans. To improve survival rates the company has developed a new integrated anesthesia delivery system with Australian Government commercialization support. The new system has three components. A Heated Smooth Wall Anesthesia tubing system, which warms the gas delivered to patients. This world-first system was released in Australia in 2014 and in UK and US markets this year. It helps to prevent hypothermia, the commonest complication of anesthesia and surgery. “Hypothermia occurs in up to 85 per cent of anesthetized human infants and small animals,” Dunlop says. 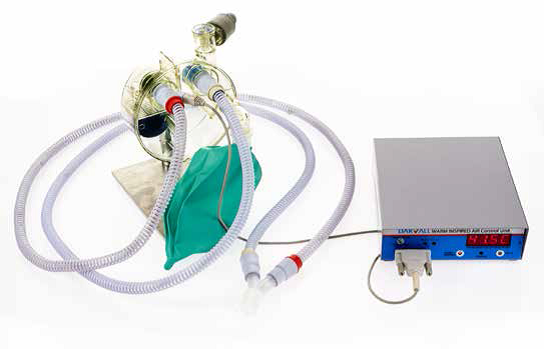 The new Stingray anesthesia rebreathing circuit. 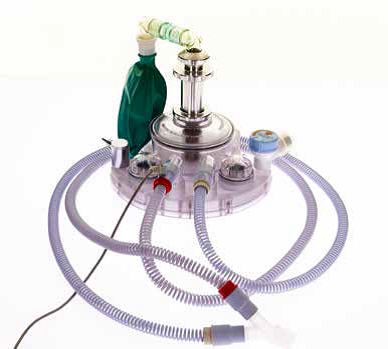 The second component is the Stingray—the first low-flow, low‑resistance with rapid response rebreathing anesthesia circuit for patients under 20 kilograms. It improves on existing anesthesia technology and recycles exhaled breath, which also helps to reduce the risk of hypothermia. The Stingray, which will be released to global markets in September this year, also reduces the release of environmentally harmful anesthetic gas into the atmosphere by up to 90 per cent. The system’s third element is an anesthetic vaporizer which provides early warnings of problems during surgery. Dunlop says this novel system, which is in clinical trial stage, will help fill a gap in anesthetic training among veterinarians and veterinary nurses. It is due for release in mid-2016. International usability is a vital element of the company’s design work. “We could never afford to design these products just for Australia, as the volume of potential sales here is too small to be cost-effective … we need to design equipment for use around the world,” he says. Protecting intellectual property is also a company priority. “We have invested a lot of money and time in protecting the IP of our technology and devices and have over 13 families of patents, plus new patent applications lodged,” Dunlop says. Australian Government Commercialisation Adviser, John Grew, has been assisting the company with its move into markets. Advanced Anesthesia Specialists is owned by veterinarians and Dunlop’s main focus is to improve the odds for pets undergoing anesthesia in Australia and overseas. One of my favorite mental pictures of the cardiovascular system is that of A Pump, Some Pipes, and Fluid. Broken down to this simple picture, it’s easier for me to interpret the information I gather as I monitor anesthetized patients. The heart is at the top of this minimalist’s view of the cardiovascular system by acting as a pump. Its job is to pump blood around the body. The left side of the heart pumps oxygenated blood from the lungs to the rest of the body. The right side pumps stale blood from the body back to the lungs for a fresh supply of oxygen. The pipes, of course, are those estimated 60,000 miles of veins and arteries distributed throughout the body. Most blood vessels can alter their size in order to accommodate the necessary flow of blood. When a vessel’s interior grows larger to allow more blood flow, it’s called vasodilation. When it shrinks down to decrease blood flow it’s called vasoconstriction. Under normal circumstances, the vessels automatically vasodilate and vasoconstrict to help regulate blood flow through the body. However, many anesthesia drugs alter the body’s ability to respond automatically in this manner. It is generally accepted that most domestic animals have blood volumes of about 7% of their body weight (cats have a little lower percentage). That equals about 70ml per kilogram or about 35ml per pound of body weight. That means your 60 pound Labrador has a blood volume of about half a gallon. When you consider that a half gallon of blood is pumped through 60,000 miles of blood vessels, you realize that it can’t be all places all the time. The body is constantly making choices to route blood where it is most needed at any given point in time. Pressure is the driving force for blood flow through capillaries that supply oxygen to organs and tissues. Blood pressure is needed to propel blood through vascular beds, with priority to those of the brain, heart, lungs and kidneys. When I notice a drop in blood pressure, I immediately run through this simplified picture of the cardiovascular system. Why is the pressure dropping? Is the problem with the pump (ie not pumping hard enough or fast enough)? Is the problem with the pipes (ie vasodilation or positional occlusion of major vessels)? Or is the problem with the fluid (ie blood loss or vascular pooling)? The answers to these questions can help me anticipate a corrective treatment. Anesthesia guidelines from the American College of Veterinary Anesthesia and Analgesia (ACVAA) and the American Animal Hospital Association (AAHA) urge us to monitor blood pressure during anesthesia, yet specialists say that blood pressure equipment alone is not the main ingredient to a smooth anesthetic event. It’s the anesthetist’s knowledge that provides the greatest margin of safety for the patient.